Exploring The Writing Process With Leonide Martin. In this new series of posts, I’ll be taking a look at The Writing Process. Whenever I’ve done an author interview, one question always asked is how I navigate the process of writing. Every author follows a personal writing process, so no single formula fits for all. There are common steps we all go through in conceptualizing, developing, planning, researching, writing routine, revising, editing, and publishing. This series will explore each step in the writing process, using my own experiences as examples. 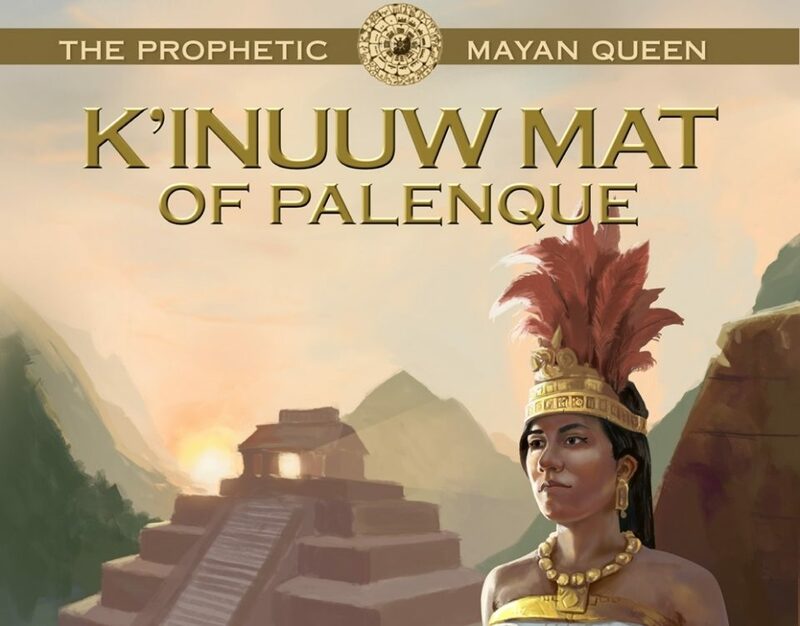 The book I most recently completed is The Mayan Red Queen: Tz’aakb’u Ahau of Palenque. This is the third book in the Mists of Palenque series about four remarkable ancient Mayan women. Released in 2017 as an ebook, it’s now in the process of getting into print with publication date March 1, 2018. 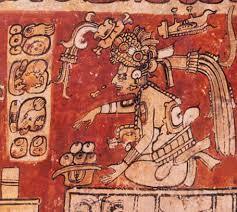 The Mayan Red Queen is the example through which I’ll dissect my journey through The Writing Process. a web of history, whose destinies intertwine as the end of the Maya Calendar on December 21, 2012 approaches. 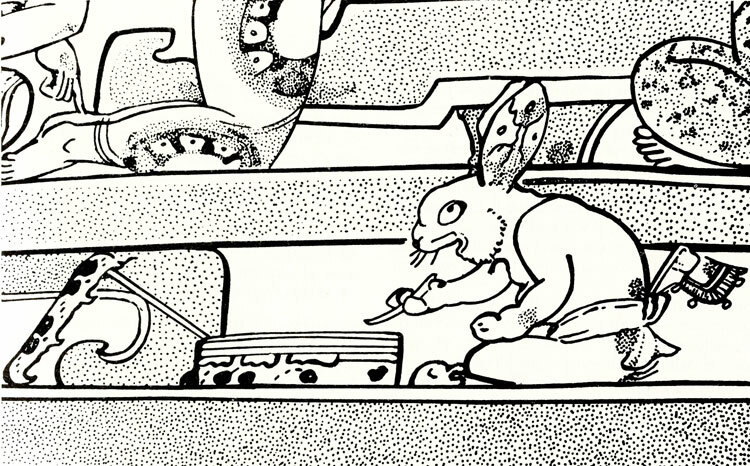 Of course, the Mayas never predicted the calendar—much less the world—would end in 2012. For them, one great cycle rolled over into the next. This perspective is dramatized in the story. While visiting Mexico during the years before we moved there, I’d been captivated by the ancient city Palenque located in southern Chiapas. I’d already done considerable research to write the first book, but was spurred to delve more deeply into the archeology and history of Palenque. 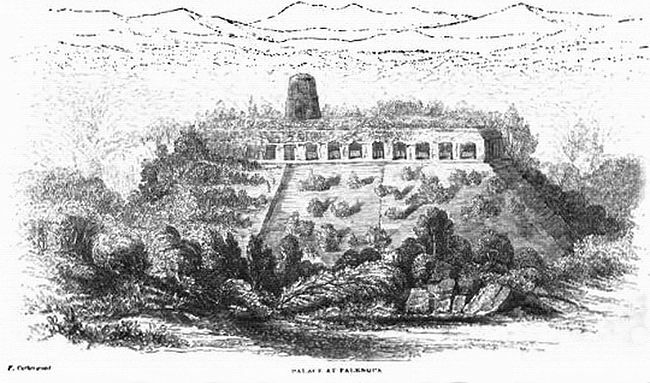 Several famous archeological things happened there: John L. Stephens and Frederick Catherwood wrote their Incidents of Travel books that became international best-sellers in the mid-1800s and put Palenque on the map. 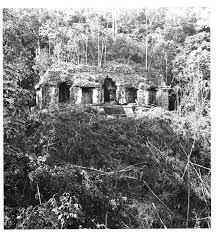 Alberto Ruz Lhuillier excavated the tomb of famous ruler K’inich Janaab Pakal in 1952; it compares in riches to King Tut’s of Egypt. The series of Mesa Redondas conducted by Linda Schele and Merle Green Robertson during the 1970s brought together Mayanists from several disciplines; their combined skills deciphered the “king list” of Palenque rulers. Excavations by Arnoldo Gonzalez Cruz and Fanny Lopez Jimenez uncovered the tomb of a royal woman in 1994, her skeleton permeated with red cinnabar; it was the first queen’s burial ever found among the ancient Mayas. 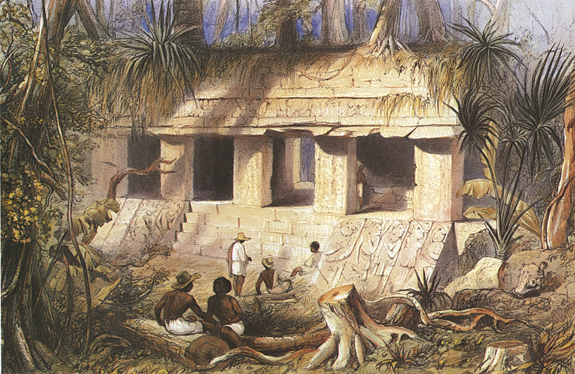 Here is where the inspiration for my next book about the Mayas began. As I stood in the narrow passageway and peered into the chamber holding her empty sarcophagus, I wondered who this woman was. Her bones had been removed to Mexico City in a museum for preservation and study. Her burial adornments were in the Palenque museum; a jadeite mask, jade diadem, jade and stone jewelry, ceramics, tools, symbols of status. 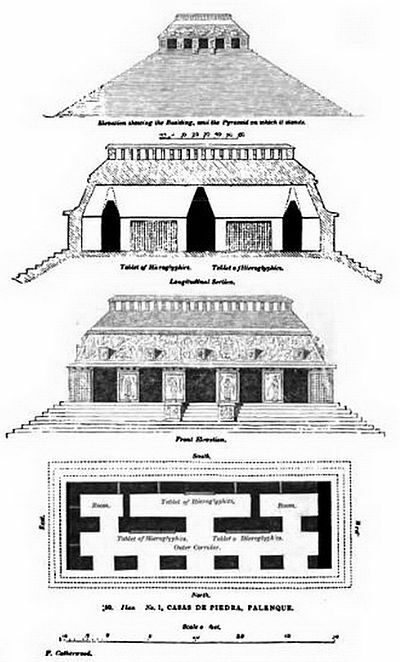 The partially restored pyramid housing her tomb (Temple XIII) adjoined the huge burial monument for Pakal (Temple of the Inscriptions); this made researchers think there was a relationship. By pure luck, I was browsing through Dante Books in Mérida and came upon a book about her: La Reina Roja by Adriana Malvido. 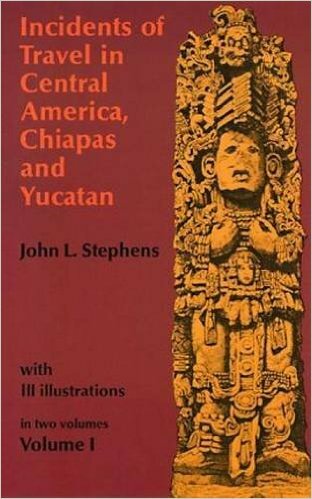 I’d never have found this book unless I was in Mexico; I’d never been able to read it unless I had continued studying Spanish while there. most likely to receive such an honored and richly adorned burial. Reading Malvido’s book, I learned about the other candidates for the burial and became fascinated by this lineage of royal women. 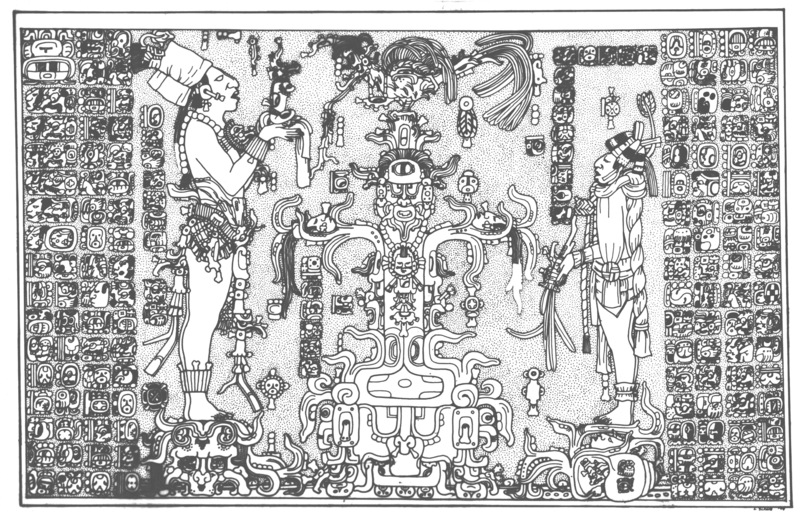 Pakal’s grandmother Yohl Ik’nal was the first Mayan women to rule independently, causing a shift in dynastic succession. 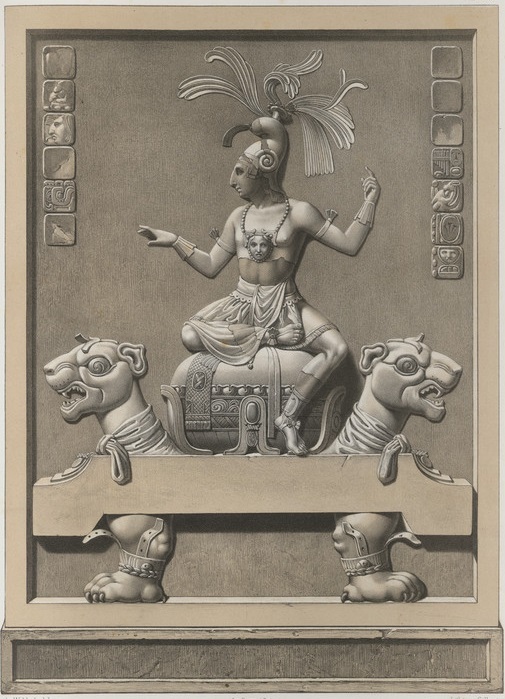 His mother assumed the throne after her brother was killed in Palenque’s worst defeat. She weathered opposition and chaos to keep the throne until her son Pakal came of age. His wife was from another city, lived many years in Palenque and bore him four sons. 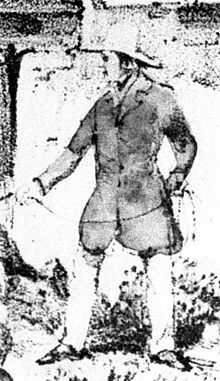 His daughter-in-law kept the dynasty going although she married his youngest son; the older sons had no surviving heirs. It was simply evident that I had to tell the stories of these four great Mayan queens. At first I conceptualized a single book in four parts, did lots more research and made an outline. 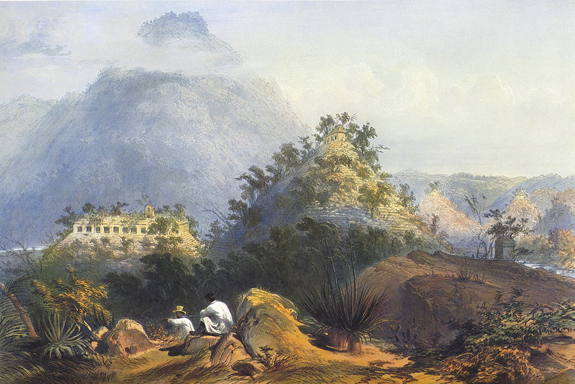 While in Mérida I began writing about Yohl Ik’nal, but the writing process was difficult. Anyone who has lived the ex-pat life knows how many distractions abound. Eating out at fine restaurants was inexpensive; there was abundant good wine; too many parties and musical performances; endless excursions to interesting sites around Yucatan; discussion groups and teas and local fiestas and carnivals. Serious writing had to wait until we returned to the States and then I discovered there was too much material for one book. The result: The Mists of Palenque series of four books, each dedicated to a queen. Adriana Malvido. La Reina Roja: El secreto de los mayas en Palenque. Conaculta/INAH, Mexico City, Mexico, 2006. 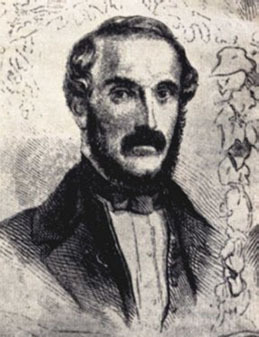 John L. Stephens. 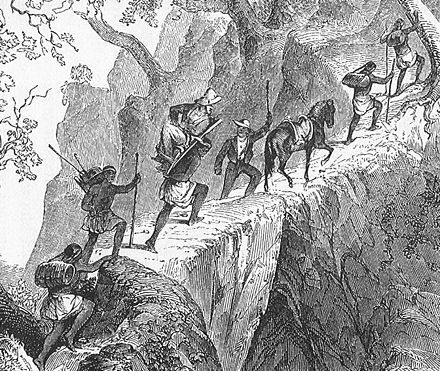 Incidents of Travel in Central America, Chiapas and Yucatan. Volume I. 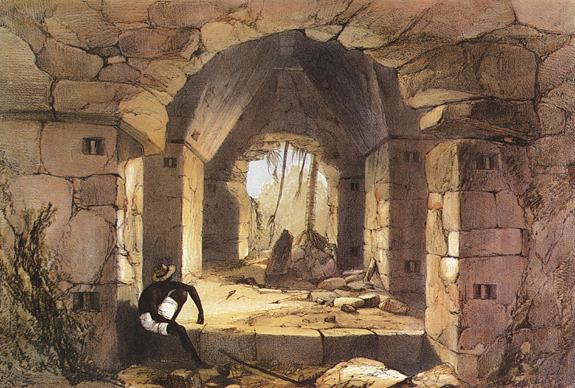 With illustrations by Frederick Catherwood. Dover Pub., Inc., New York, 1969. Originally published in 1841 by Harper & Brothers, New York. David Stuart & George Stuart. Palenque: Eternal City of the Maya. Thames & Hudson Ltd, London, 2008.